“Find the Pony” is a phrase I say a lot. It comes from a story I had first heard when I was in college and I immediately applied its meaning to many pieces of my life. Now, almost 20 years later, I still find ways to apply it to my life and the lives of the little boys I am raising. The story is about twin boys, age 5 or 6 years, who have developed extremely different personalities – one boy was a complete optimist and the other a complete pessimist. Their parents were concerned about how extreme they were, and they took them to see a psychiatrist. Next, the psychiatrist spoke to the optimist and tried to moderate his outlook. He took the boy to a room filled to the ceiling with horse manure. Surely, this room would make the boy reconsider his optimism, thought the psychiatrist. Instead of feeling disgusted, he shouted with delight and joy. He then climbed to the top of the pile, fell to his knees and began to happily dig out the poop, scoop after scoop with just his hands. “What are you doing?” asked the psychiatrist. The moral of this story is to always see the brighter side, the positive side, the happier side. Even if you’re in a stinky room full of poop, imagine the possibility there is a pony under the poop. Your task is to find the pony. We moms have many moments that seem like we are in a room filled with manure. Some of us struggle with health concerns, some suffer with infertility, and some have felt unbearable losses. We feel bad for ourselves when our bosses are demanding, when our spouses have rough days, and when our children go through difficult phases that test our patience and push us to be better parents. When your children open the pantry and empty a Costco-sized coffee tin on your nice, clean kitchen floor, the “pony” is that your children are happy and in a well-stocked home. When your tiny toddler has the most impressive terrible temper tantrum at the grocery store, the “pony” is that your child has an independent spirit, is not shy, and is certainly able to communicate his or her feelings. When your front hallways is always covered in sand during the summer months and no amount of cleaning can help fix it, the “pony” is that you are lucky to live in a beach community and have a lifestyle which allows your children to have sandy feet and shoes. When you and your partner can’t agree where to spend a holiday because your extended families live hours apart, the “pony” is that your children are growing up surrounded by so much love that every aunt, uncle, cousin, grandparent likes to see them on their special days. 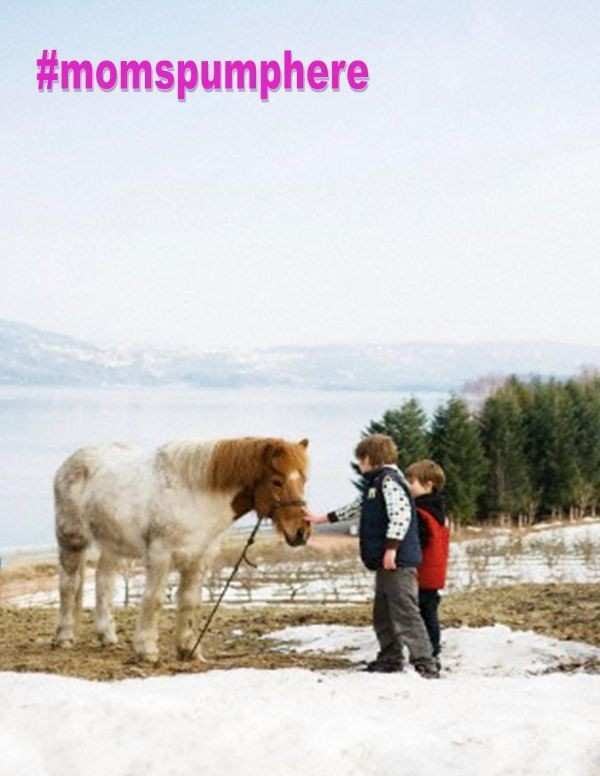 We moms also have the power to make the days better by finding the pony in everyday moments. Have you found your pony today?